The Costa Blanca, the eastern seaboard of Spain has around 120 miles of soft, sandy beaches against a backdrop of crystal blue skies, and warm, tempting Mediterranean sea so you can imagine that coming from a small, cold and wet country, this appeals to the British like me! 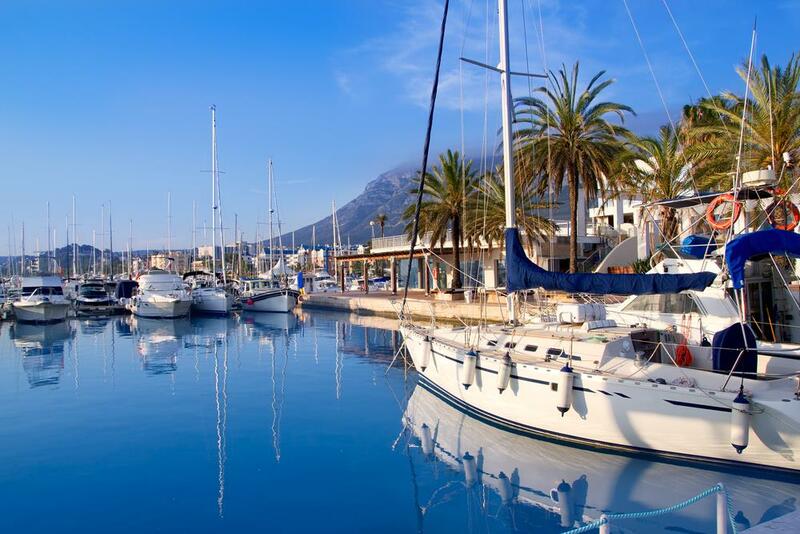 The depth and diversity of the area doesn't just stop at great beaches next to traditional towns such as Denia (above) for example, because there's a whole range of places both on the coast, and inland, making the Costa Blanca one of Europe's top summer destinations. When and where did our love affair with Spain actually start? Contrary to popular belief, although mass tourism and package holidays are a fairly new thing, only making an appearance in the late 1950's, the British have had a strong presence in Spain, mainly for economic reasons, for centuries, and many of the country's railways, for example, were built by British engineers in the 19th century, as were many mines in both Asturias in the north, and the huge Rio Tinto open cast mines in Andalusia. 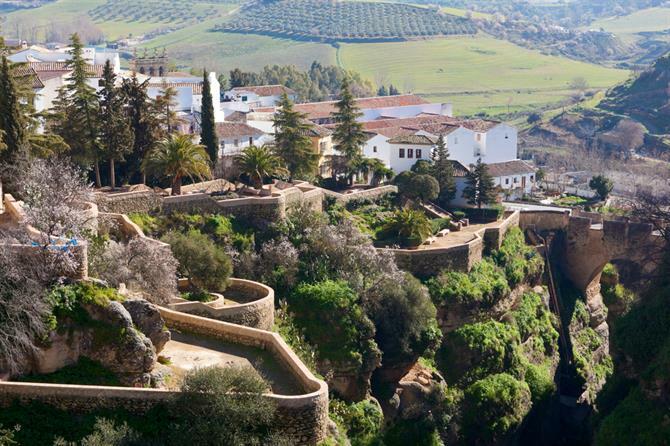 A prime example of this is the railway that goes from Algeciras next to Gibraltar, all the way to the beautiful hillside town of Ronda (below) and beyond, built by the British for officers in Gibraltar to escape the searing summer heat. Moving back to the Costa Blanca, the British had a strong industrial presence for centuries and the narrow gauge tram railway that runs from Alicante, all the way along the coast and up to Denia, was largely built by the British to serve the various quarries in the area and also for the transportation of various fruits grown in the region, which were then taken to ports such as Denia and shipped to the UK. In the 20th century, Spain was seen as a very glamorous, mysterious and exciting destination for the wealthy foreign traveller and this can be seen in many of the books by Ernest Hemingway amongst other luminaries. So when did package tours to Spain start? It would seem that the typical package tours to Spain, the sort we can all recognise from our younger days, were started around 1957 by British European Airways who started flights to Valencia, and very much on purpose, the name "Costa Blanca" was created by travel companies to help promote tourism. This was also along with the other Costas such as the Costa del sol, Costa tropical and so on;' It's all marketing hype! And who could resists the tempting offers of guaranteed sun, cheap drink and food, lovely beaches, and the promise of something new and exciting! Foreign travel was very new back then, although the first real package tours from Britain were to Corsica, and organised by Horizon travel, who controversially went out of business, stranding holidaymakers abroad. This saw more regulation and organisation come into the travel industry, such as ABTA, largely to restore consumer confidence. By the onset of the 1960's, regular charter flights for package deals, combining the trip, the hotel and transfers, were being offered by Euravia, operating out of Manchester and Luton airports, providing for many people, their first affordable trip out of the UK. The range of holiday options was limited and was often the subject of criticisms and stereotypes of half built hotels and corrupt local police, some would say this was epitomised in the famous carry on film "Carry on abroad"! The 1970's saw a decline in Tourism to Spain, and one incident that saw visitor numbers fall to Spain and to not recover for some time, was on 15 August 1974 when tour operator Court Line went bust, stranding a massive 50,000 people abroad, and a further 100,000 losing their holiday deposits. 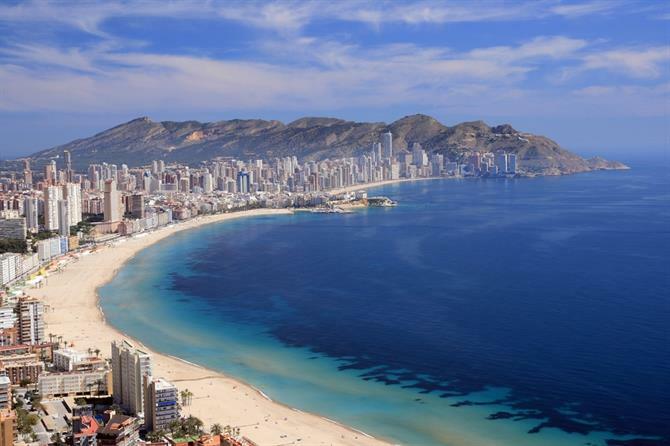 After the death of the dictator General Franco, the country saw that one way of building the countries finances back up was to invest in mass tourism again, but on a larger scale, and this saw massive expansion of hotel building, especially noticeable in resorts such as Benidorm. So what about tourism to Spain now? Tourism still accounts for a very large percentage of Spain's national income, and each year several million embark on a weeks holiday in the sun, not just from the UK of course, but also Ireland, Holland, Germany, France and Scandinavia. Nowadays, especially with such luxuries as the internet, many people choose to put together their own package holiday, tailoring it exactly to what they need, where they want to go and their budget. 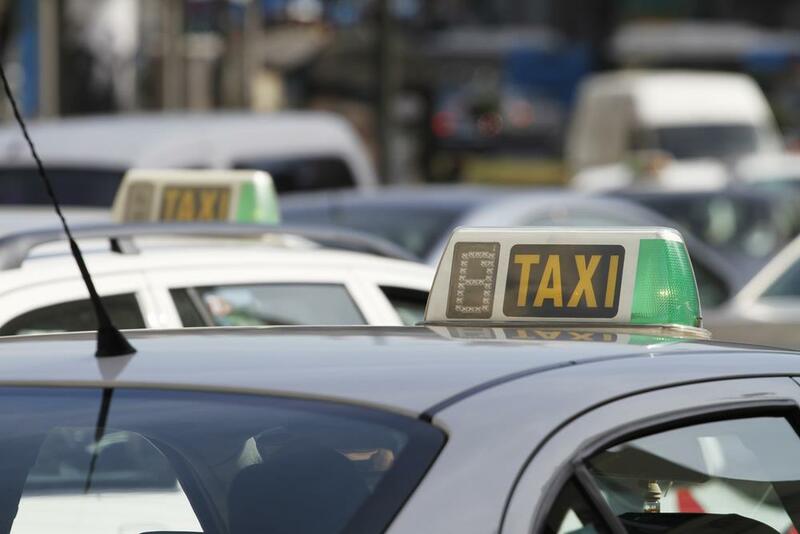 The average holidaymaker now often books their flights with one of the low-cost carriers such as EasyJet or Ryanair, and then once the flight times are confirmed, they can then book their hire car. Once that is all done, often from the comfort of your own home, not a dank and dusty travel agency somewhere, then it is time to select the area that you want to book your holiday accommodation in, and the Costa Blanca has loads of choices as to where you can go, and of course Spain holiday have loads of great places to stay too! So with all the details in place, what sort of accommodation you need would depend on your own situation. If you have kids, for example, then a beach side apartment in a family friendly resort like this example in Calpe. Alternatively, and if money is not too much of a problem, this amazing luxury villa in Benitachell would do the job nicely. Just imagine your cold cocktail, your plate of tapas, and the view from the balcony out onto the clear blue waters of the Mediterranean sea. Whatever type of holiday you are looking for this year, get in touch with us at Spain holiday, we are sure to find exactly what you want for a great summer vacation here in Spain. On a budget? 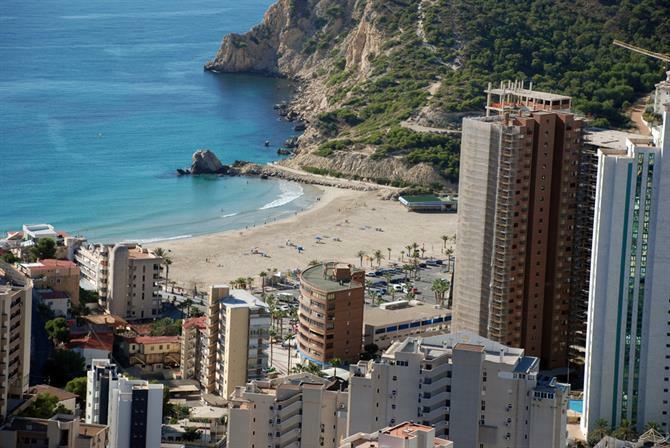 Come and explore the variety of fun free things to do in and around Benidorm. 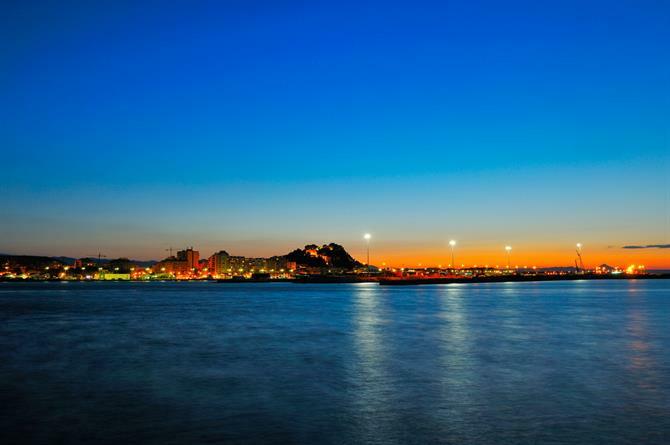 There´s plenty to do in this coastal paradise!